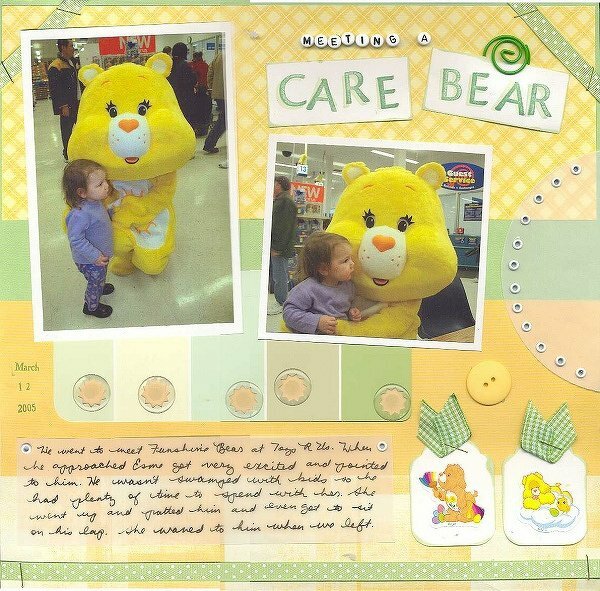 Journaling reads, â€œWe went to see Funshine Bear at Toys R Us. Wehen he approached Esme got very excited and pointed to him. He wasn't swamped with kids so he had plenty of time time spend with her. She went up and patted him and even got to sit on his lap. She waved to him when we left.â€� Papers are by Scrappy Cat and Slab III. Stickers were courtesy of Funshine!